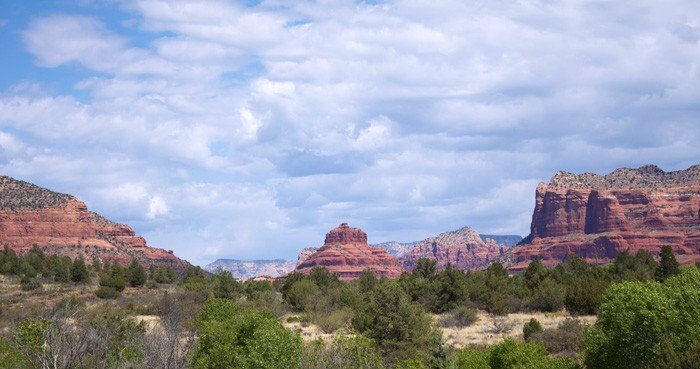 In lieu of a “Friday Favorite” post this week I’ve decided to highlight favorite finds from our recent vacation in Arizona. For Mother’s Day two years ago my husband asked what I’d most like. I told him I wanted Sedona. I wanted to go somewhere warm, quiet, beautiful, serene, and most of all peaceful. I had just come off of my first year of having twins, can ya blame me?! 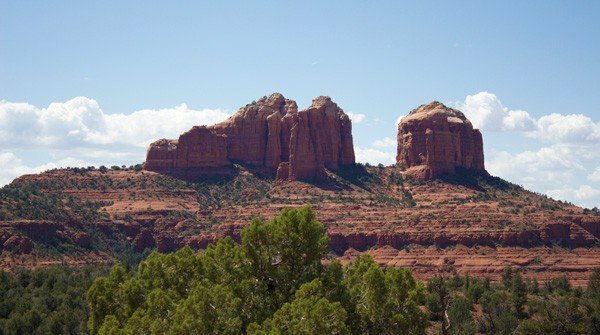 At the time, we were still living in Connecticut, so a quick weekend to Sedona, AZ, was out of the question. He did, however, set me up at a nice place on the CT coast for a spa day. It was a nice alternative. 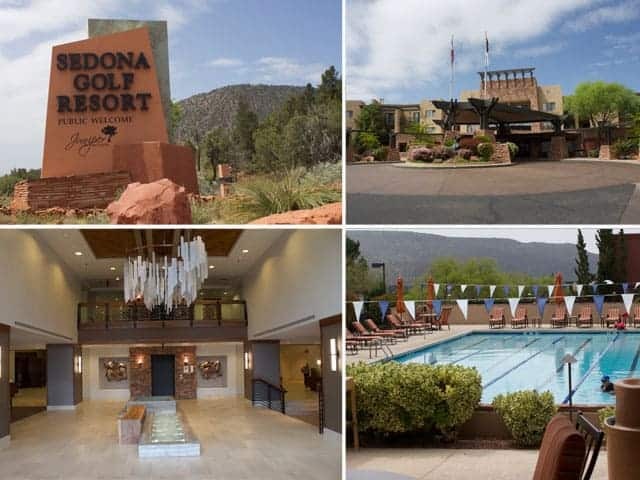 But it was no Sedona. 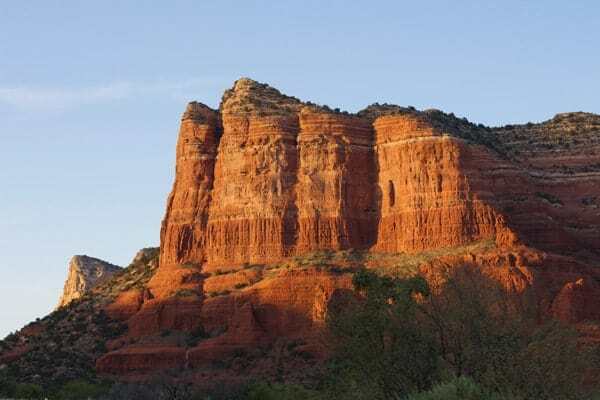 So when my family volunteered to watch the kids during our recent vacation in Arizona (where I grew up) hubby and I jumped at the offer and escaped up north for a few days. 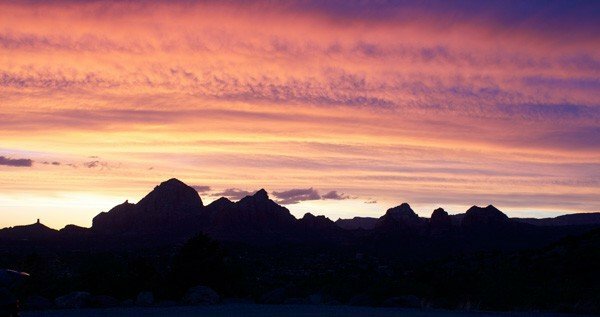 Sedona is, in one word, majestic. There are few places in the country like it. 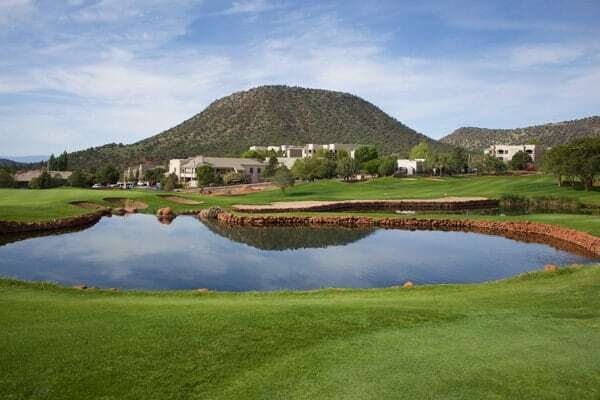 And it is only two hours north of where I grew up in Phoenix and less than one hour from the town of Flagstaff, where hubby and I met while at college. 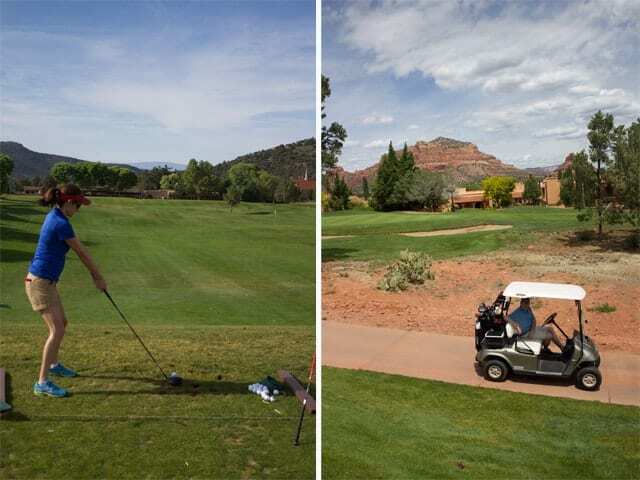 Located right when you enter the village of Oak Creek, less than 10 miles south of the heart of Sedona, is this luxury golf resort and spa (which houses and excellent fitness center btw and your choice of group classes scheduled throughout the day). 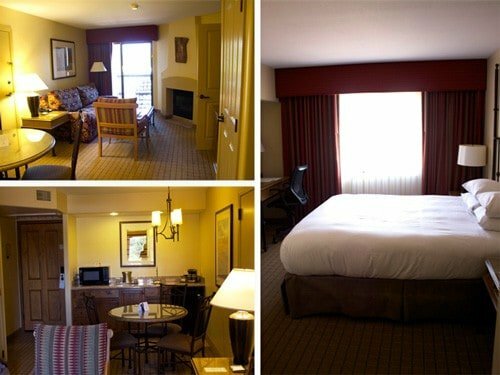 We stayed in a 1-bedroom suite with a fireplace and a small patio with gorgeous canyon views. The room was comfortable and cozy. I can honestly say my only complaint was the towels and robes, which were rather old and had no softness remaining. They needed to be retired. Sounds a bit petty to complain about towels, but for a “luxury” spa resort I’d hope the towels would have some cozy softness to them. I digress. I had never golfed a day in my life (unless you count miniature golf) until this trip. 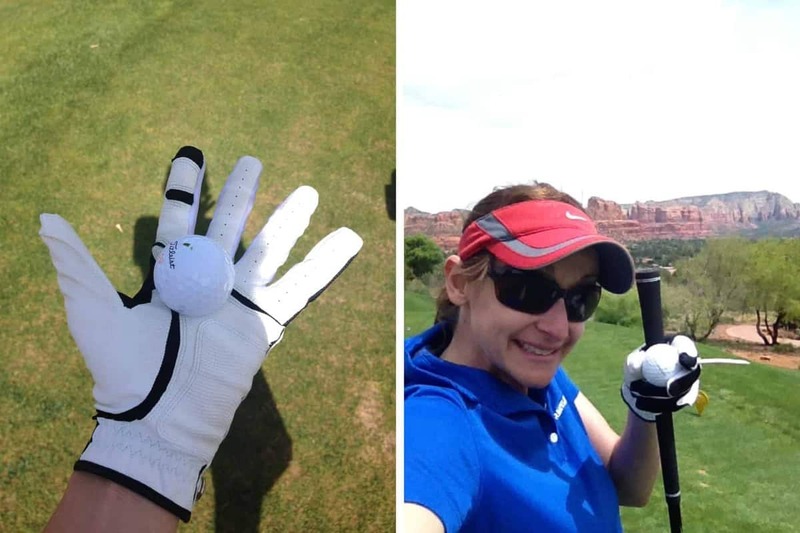 We booked a lesson so that I didn’t ruin our golf game by hitting balls into the trees the entire day. Thanks Michah for your patience and excellent pointers! The course is absolutely stunning. Like I said, this was my first time golfing. Ever. Though I have seen my share of courses, this is a pretty darn fantastic place to spend a day outside swinging golf clubs. 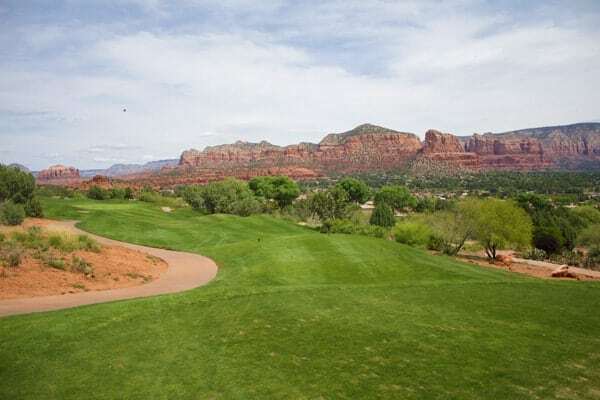 View from the 10th hole. Are you kidding me right now? And I just have to brag for one second; in the 10 holes we played I didn’t lose a single ball!! I. Kid. You. Not! In fact, I now have my lucky ball on display now in my room. Hubby, on the other hand, lost 6 balls. Mmm-hmm. Just after arriving we were in search of a quick place to eat before our golf lesson. Miley’s Café was located within walking distance from our hotel so we popped in. We were pretty blown away by their green chili enchiladas — so ridiculously flavorful and delicious. Plus the staff was incredibly friendly and attentive. The restaurant has only been open a couple of years and has a wide range of both traditional American fare as well as Mexican. I say if you go, definitely stick to the Mexican items (their specialty). They are authentic and intricately flavored. Don’t tell my mom, but the green chili definitely rivals hers. Seriously! Definitely a gem worth checking out for a casual Mexican lunch in the town of Oak Creek. We debated getting all dawned up and going out to eat our first night, but opted to get take out somewhere and dine on our private deck. You would too if you had this view. Since the majority of the Sedona restaurants were a good 15 min from our hotel we opted for Cucina Rustica, located walking distance from the Hilton in the village of Oak Creek (actually in the same lot as Miley’s Cafe). Another complete surprise for us! We ordered the Bruschetta and Carciofo Alla Griglia (grilled artichoke) to start, and split the Fettuccine Papalina (fettuccine with prosciutto, scallions, and mushrooms in a delicate cream sauce). The Bruschetta was super fresh, the artichokes were perfectly grilled, and the pasta had fantastic flavor. I must admit, I’m so used to Italian restaurants in AZ having thick and heavy cream sauces that end up feeling too heavy and filling – something I’ve never experienced in my travels through Italy. This one had just the right amount of a creamy texture without being uncomfortably heavy or over the top. Pretty fresh and authentic if you ask me! I really wish I had taken a few pictures. Like I said, it took me by surprise how good everything was. 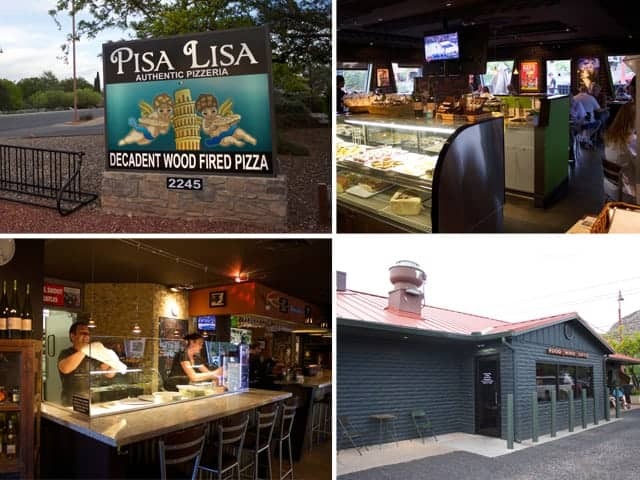 We were so impressed with dinner that the next day we researched the chef, Lisa Dahl, and discovered that she has three restaurants in Sedona, including a recently opened brick oven pizza joint. So…. The next day we had to find it. Opened just a year ago this causal joint, located off west highway 89A, offers a refreshing selection of salads, appetizers, and pizzas. Not knowing what we were in the mood for we asked our server what was good. He steered us in the right direction by recommending the Exotica Beet Salad prepared with organic greens, super fresh goat cheese, Marcona almonds, and Sweet & Sour Vinaigrette. I’m not typically a white pizza fan but when our server mentioned his favorite pizza was the Funghi Decadente with Sausage we were sold. Served with button mushrooms, caramelized onions, provolone-mozzarella, gorgonzola, parmesan-reggiano finished with black-truffle oil, it was outstanding with the addition of the sweet and spicy sausage on top. The wine selection is fairly small, but sufficient with some decent Italian offerings and some unique gems like Falanghania (one of my favorite white Italian varietals). To start I had to try one of their specialty cocktails made with cucumber. I can’t remember the name of the cocktail (it’s not on their website) but it’s pure Sedona in a glass, prepared with cucumber infused vodka, mint and more cucumbers. It’s like mojito meets the day spa (minty freshness with calming cucumber). All that was missing was serene harp music. Can someone call Enya for me? 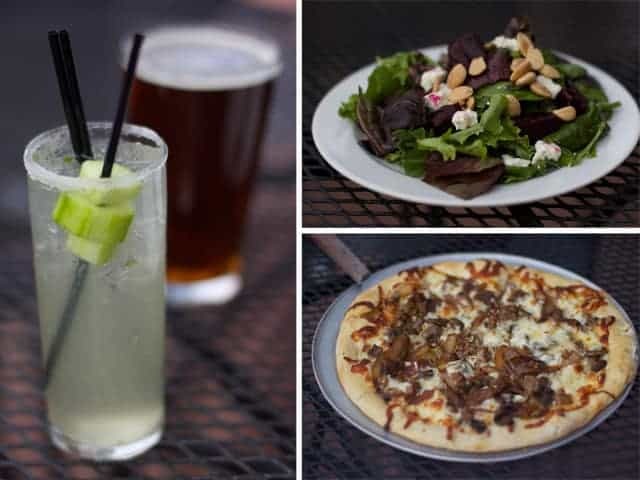 If you’re heading to Sedona, looking for excellent authentic wood fired pizza and good drinks, and are okay with a location off the main drag (i.e. not your typical touristy place, and not the best views of the canyons), then definitely give this new pizza place a chance! I can’t wait to go back and try their red sauce pizzas. They looked just as fantastic as the one we had. Back in college hubby was an avid cyclist. Mountain biking was his first love (before he met me of course!). 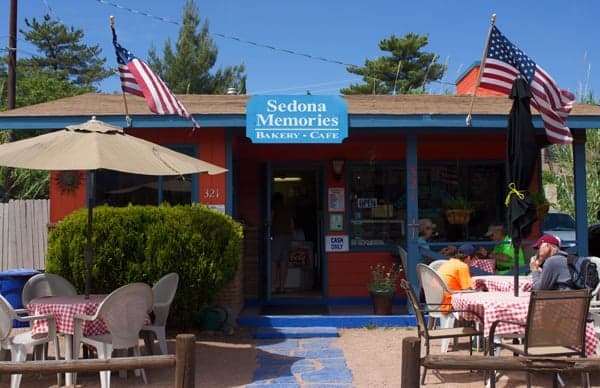 Sedona is a mecca for mountain biking and after a long morning of riding he and his buddies (with their large appetites) would always end up at this teeny tiny super inconspicuous hole in the wall sandwich joint, offering sandwiches fit for a big appetite – Sedona Memories. The shop, opened in 1995, hasn’t changed a bit since it opened nearly twenty years ago. 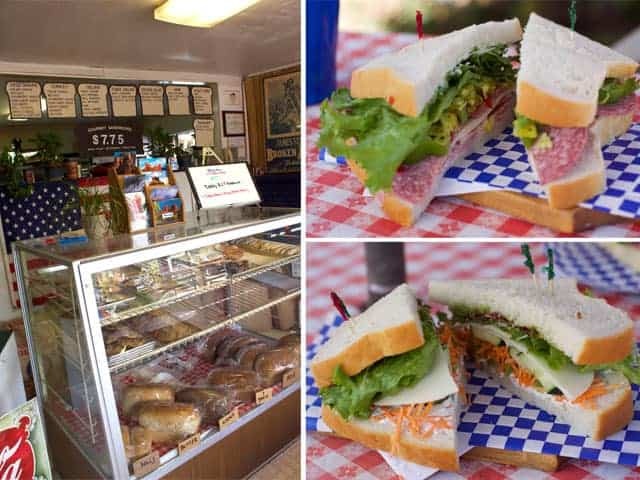 In fact, they have the exact same sandwich menu as day one, all served on your choice of one of six styles of freshly baked breads. We ordered our (gargantuous) sandwiches and took a spot on one of the few picnic tables located outside. The vegetarian was always my favorite, loaded with creamy avocado, cream cheese, cranberry sauce, sunflower seeds, cucumber, cucumber, bell peppers, swiss cheese, lettuce and sprouts, so I had to see if it was how I remembered it. Yup. Fresh, tasty, filling, and full of memories of the good ol’ college days. 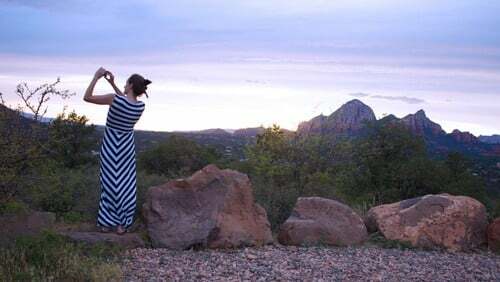 Like I said hubby knew Sedona in and out in his college days, so when I told him I wanted to watch the sunset, without being surrounded by tourists, he knew exactly where to take me. I was a bit nervous driving up that bumpy road (meant for off-roading Jeeps) in our rental car, but when hubs reminded me that he used to drive this road in his tiny Honda Civic I stopped complaining. Let’s just say he did a nice job picking a great spot, tourist-free, to watch an incredible sunset. Nice job hubby! Had to get one for Instagram! To get there: Head north on HWY 179 towards 89A, just before you drive over the creek you’ll see Schnebly Hill Road. If you pass Tlaquepaque you’ve gone too far. Go right onto Schnebly Hill Road and follow up about 1 mile. Beware, the road is bumpy!! 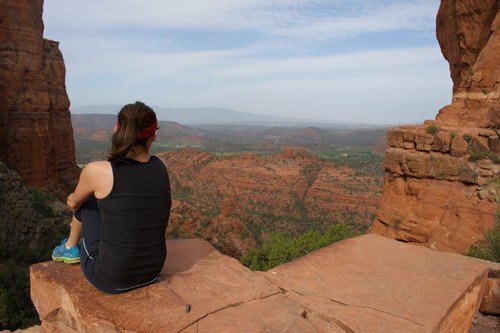 Before heading out on our final day of Sedona I wanted to go for a quick hike. Nothing that would take all day… just something in-and-out, close, and had to have great views. 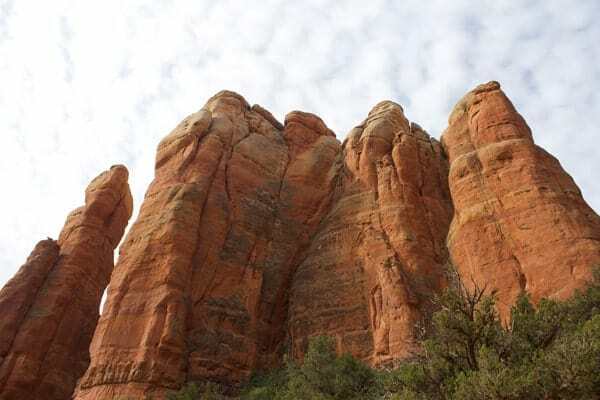 My tour guide/hubby steered us in the right direction again by suggesting Cathedral Rock; located just four miles north of the Hilton off HWY 179. Though short and quick the 1.5-mile hike is not a beginner’s hike. The first ten minutes are easy and scenic, but after that you begin your (very) steep climb up. And by climb I mean straight up. 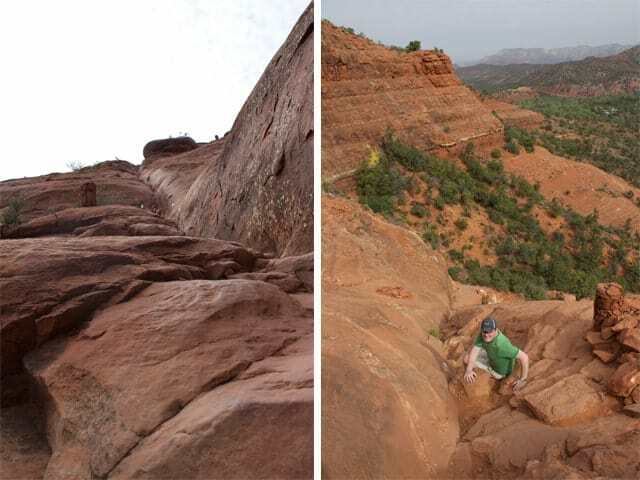 You’ll climb a total of 600 feet from beginning to end. But I eventually braved it. In all honestly I don’t know what I was nervous about… Oh yeah, it’s my obnoxious fear of heights! Plus my slippery running shoes. It was so worth it when we got to the top with these views. 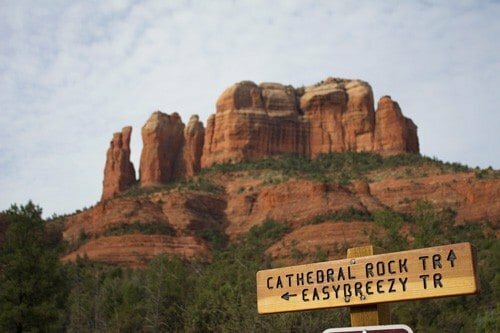 If you go: It’s a quick hike, in and out. Just know there is some climbing involved. I also recommend hiking boots or shoes with some traction. My choice of running shoes was probably not the smartest option (I slipped a lot… doah!). 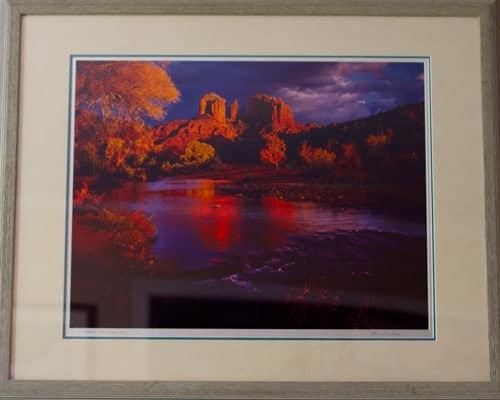 Now when I look at the painting hanging in our living room that hubby bought in college I can tell our friends and neighbors, “hey I hiked that rock!”. 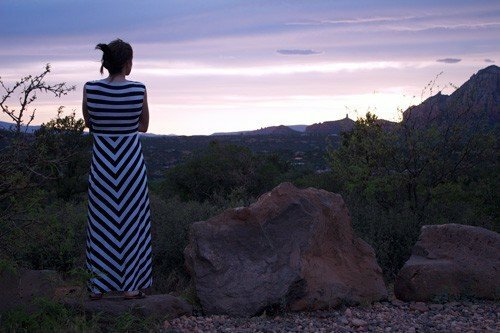 Two years ago, for Mother’s Day, I may not have gotten the Sedona vacation I had imagined, but this year I can honestly say I did. Plus I had great company! It was exactly what I wanted and needed — a peaceful, relaxing, kid-free, romantic getaway with a guy who deserved to be pampered just as much as I did. 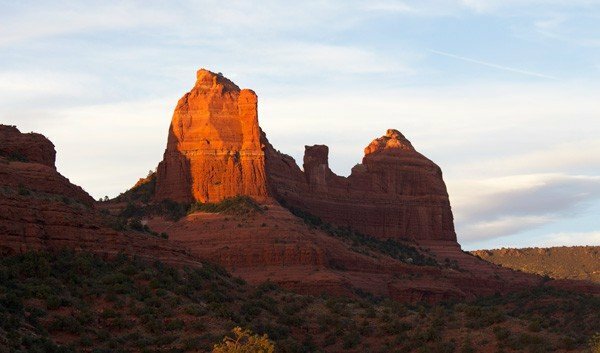 For more resources on Sedona visit here. 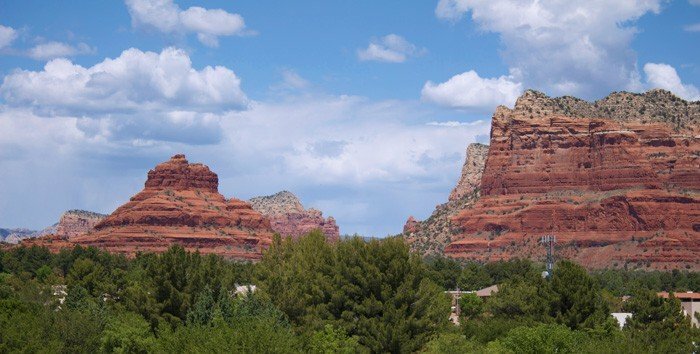 Sedona is definitely one of the few places that doesn’t only help you unwind and discover new culture. It is also a haven of great restos.